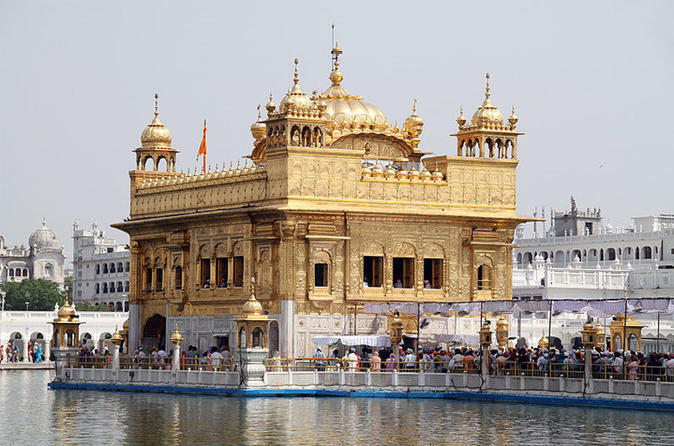 Visit the the Golden Temple, which is the holiest shrine for Sikhs, located in the historical city of Amritsar. 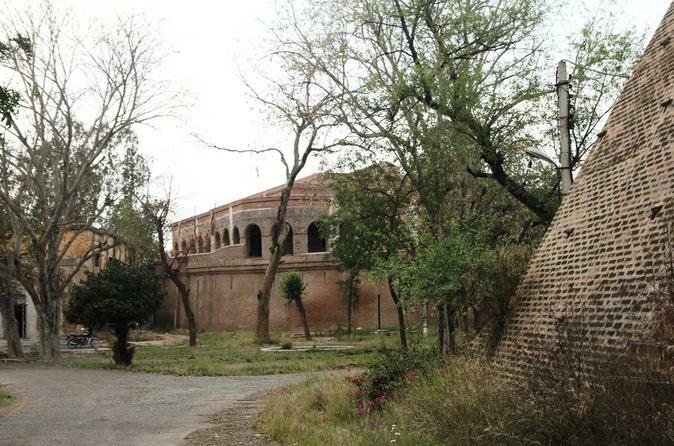 Then visit the intriguing & historic Gobindgarh Fort, which was opened for the public only in February 2017. 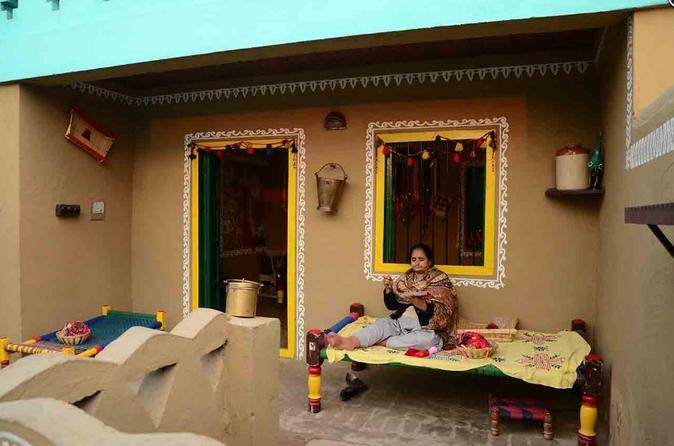 Later, get a glimpse into the rural life, in a fascinating model village of Punjab - Sadda Pind. This private full-day sightseeing tour includes return hotel transfers and travel in a private air-conditioned vehicle. A separate knowledgeable guide will accompany you. After completion of the tour, you will be dropped back at your hotel. 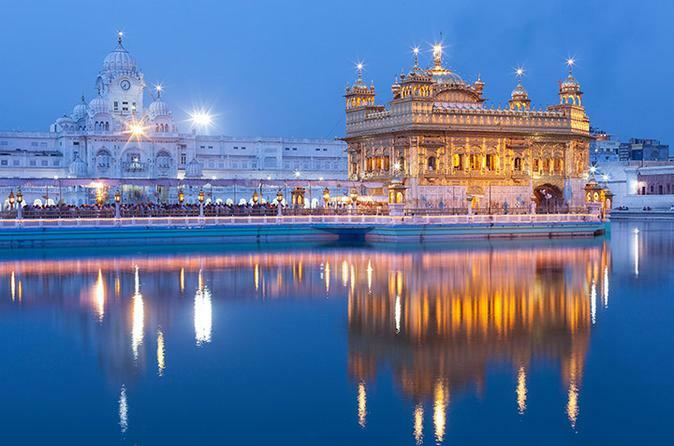 Amritsar; a city rich in culture, spiritual belief, and historic icons. 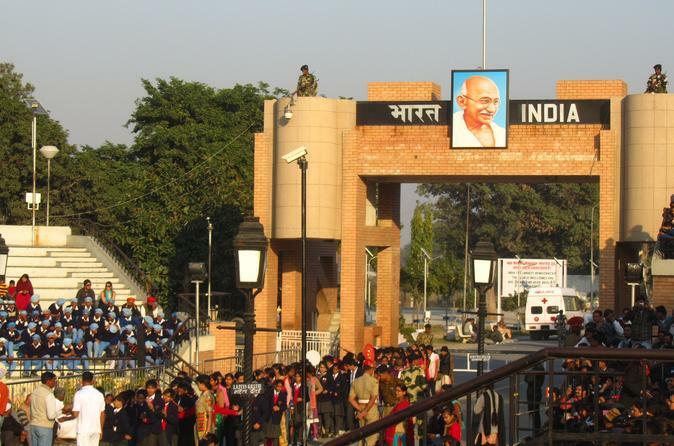 This city has played a great role in India’s struggle for freedom. Take a 3-hour walk through the city with an English-speaking local guide in a group of 8 or less to know more about the streets and peep into the lives of local people. Pickup transportation and snacks are included. 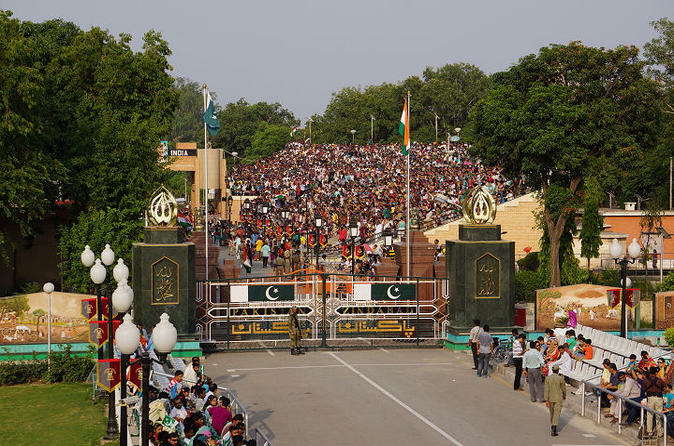 You'll visit the Golden Temple, the spiritual center of the Sikh faith; the Jallianwala Bagh Memorial, an important monument dedicated to the martyrs of the Jallianwala Bagh massacre in 1919; the Durgiana Temple, which sits in the middle of a sacred lake, and an evening visit to the India/Pakistan border for the traditional changing of the guard. 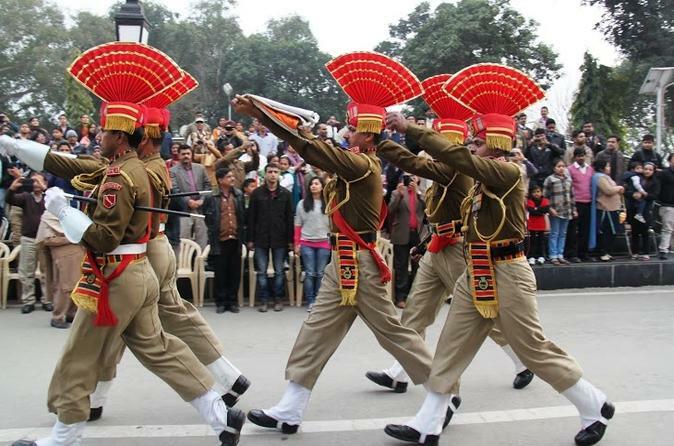 Amritsar, one of India’s most iconic cities, is the powerhouse of Sikh strength and valor. 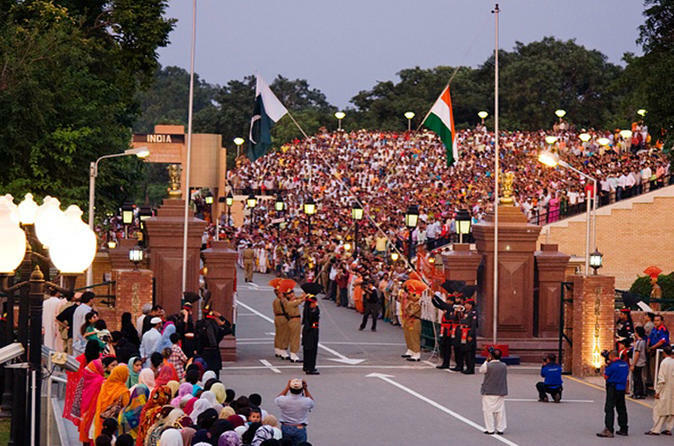 It is a captivating mix of culture and chaos and is often referred as Punjab’s major commercial and cultural center. 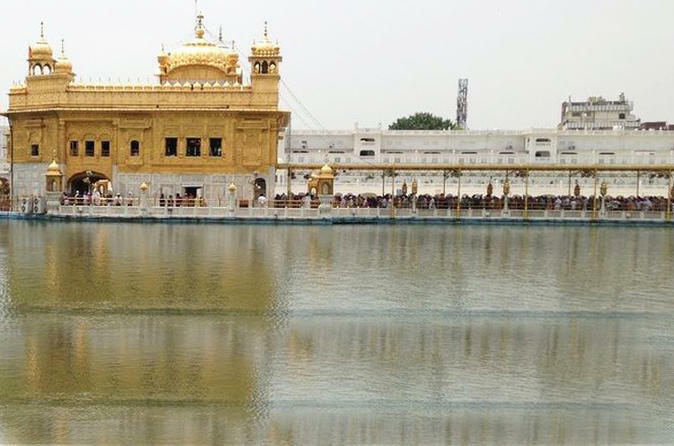 Visit two of Amritsar’s most famed monuments - the Golden Temple and the Jalliawala Bagh and devour the local flavors of Punjab with Amritsari Kulcha (hot potato bread) and Sweet Lassi (sweetened yogurt). Learn all about the heroic legend of Sikhism and its significance in the freedom movement of India. 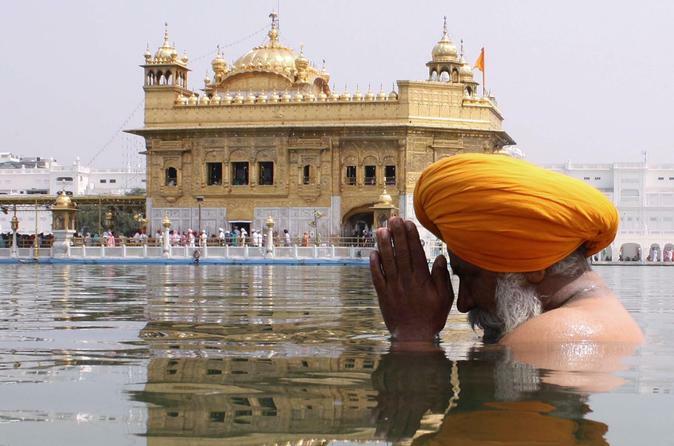 Visit the the Golden Temple, which is the holiest shrine for Sikhs, located in the historical city of Amritsar. Later, visit the intriguing & historic Gobindgarh Fort, which was opened for the public only in February 2017. This private half-day sightseeing tour includes return hotel transfers and travel in a private air-conditioned vehicle. A separate knowledgeable guide will accompany you. After completion of the tour, you will be dropped back at your hotel.